Morton’s Club occupies an impressive spot on Berkeley Square in Mayfair. Housed in an elegant Grade II listed Georgian building which dates back to 1823, it has a lavish history, and was once the private residence of a Chancellor of Exchequer. The famous Bentley brothers also played here during the 1920s. Morton’s Club entered the MARC (Marlon Abela Restaurant Corporation) fold in 2001 when it was purchased by its multi-millionaire Chairman Marlon Abela. It underwent extensive refurbishment and was finally reopened in 2004. The décor is lavish, and world class pieces of art adorn the walls. Morton’s Club consists of a snazzy ground floor bar, an intimate night club in the basement area, and an intimate restaurant on the first floor which has views overlooking Berkeley Square. Sister restaurants include the Michelin-starred The Greenhouse and Umu, both in Mayfair. So it is therefore unsurprising that the restaurant at Morton’s supports a lovely classical French menu. I dined as a guest of Morton’s. 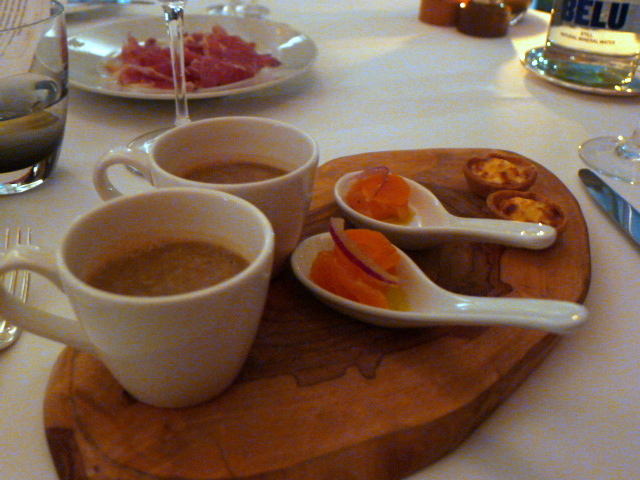 To kick off our meal, we had amuse bouches of wild mushroom soup, marinated salmon and quiche Lorraine. All were tasty. 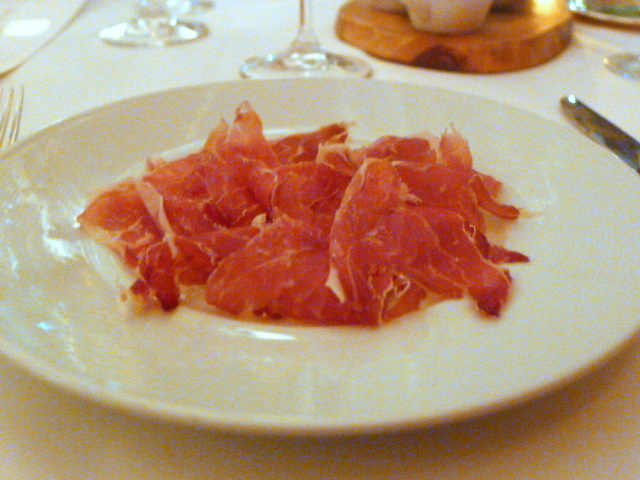 Our first starter was the jamon jabugo cinco jotas (30 grams – £15) which was intoxicatingly good. With its silky smooth quality, and rich, melodic flavour, I could have eaten more, and then some. 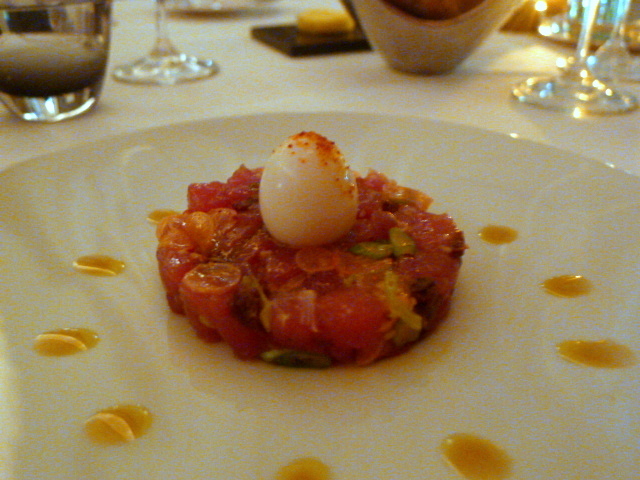 Tuna tartare (£16) was lovely and fresh. The pickled radish worked well with the fish, and the soft boiled quail’s egg was a nice touch. 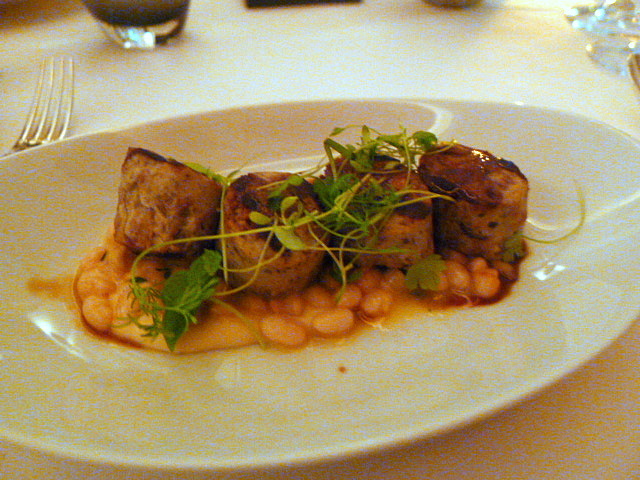 Confit duck boudin (£18) served with a coco beans ragu was an example in classic French cooking. Rustic and hearty, there was a lovely rich flavour coming through in the sausage. Lobster spaghetti with tomato, tarragon and chilli flakes (£15 for a starter) was nicely done with a lovely light tomato flavour. The chillies added a hint of spark. I enjoyed this dish, but I would have preferred the lobster served as a whole chunk rather than cut into little bite size pieces. 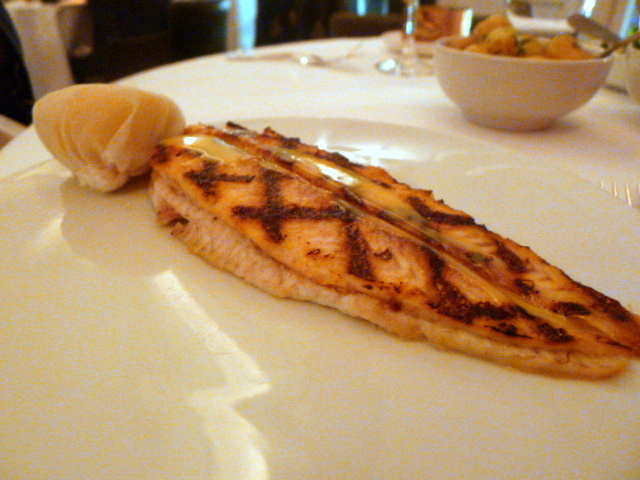 To mains, and a grilled Dover sole (£42) proved to be wonderful. The fish was beautiful, nicely cooked and presented with precision. 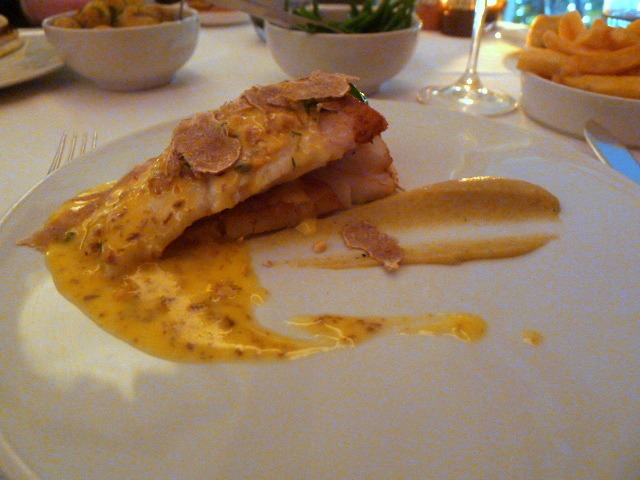 However, a Cornish roasted turbot (£36) was a little lacklustre and tasted flat. In this regard, this dish didn’t quite sparkle like some of the others. Otherwise, the accompanying crosne purée and hazelnuts worked well with the fish, as did the addition of shavings of white Alba truffle (£8 per gram). 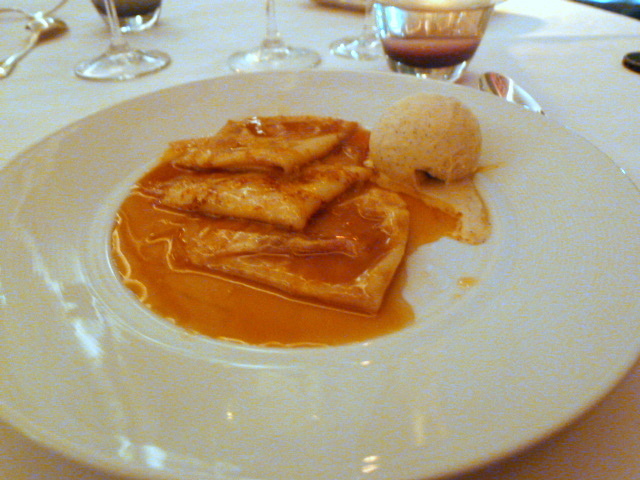 But it was the dessert of crêpe suzette (£12) which won my heart. Prepared by the table, the crêpes oozed with a buttery goodness and tantalised with hints of Grand Marnier and orange. Served with a vanilla gelato, this dessert was absolutely sublime. 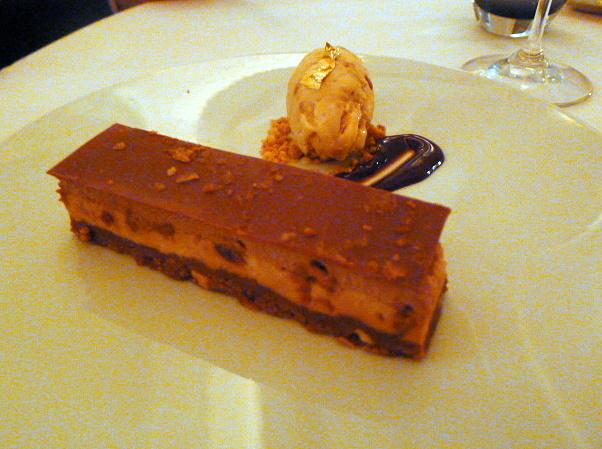 Also pleasing was the millefeuille (£9) with whiskey cream and Tahitian vanilla gelato. The contrast between crunchy and creamy was dreamily good. The food at Morton’s is pricey, but it is also solid, flavoursome and cooked with precision. The menu is simple in an elegant way, but gratifying, exactly how you imagine food at an exclusive private members’ club to be. Price range: £37 – £78 for three courses. Excludes drinks and service. I visited this restaurant with 5 business students from China in July, the food was absolutely amazing, worth every penny. They were all very impressed. You’re blog is an excellent resource for reviews, thank you. Thanks for leaving me a comment. Really good to hear you enjoyed Morton’s!